Greetings. Greetings. It's good to be here. "Really???" I asked. "How sad." How sad I said because it is really a shame that Westerners can't see beyond their arrogance. Now, I am not totally against Western education and thinking, but you need to know its limitations, which is based totally upon the physical senses. It is the failure recognize that there is something beyond the physical that prevents Westerners from making any serious grounds spiritually. 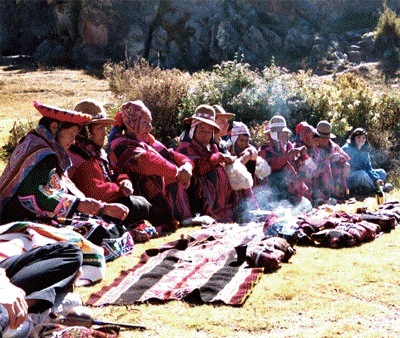 It is because the people in the Andes can see beyond the physical and identify with the spiritual that allows them to see the sacredness of all things like the coca leaves, which they chew daily. That Westerners have abused, misused and are addicted to. Now, I am not promoting drugs use but I am trying to get you to see that it is our Western thinking that prevents us from seeing the wholeness of God. It is our Western training that makes us arrogantly believe that because we don't understand a thing. Means that it is not real or effective. This also is what makes us search for God through someone else eyes rather it be through an Arab's, Chinese or East Indian's perspective. The problem with this of course, is that the spirituality of these peoples reflects their divinity through their own eyes and not of foreigners. 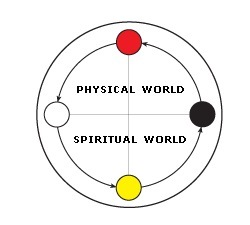 This means that when you take this same Western or non-holistic perspective and try to learn about someone else spirituality that is foreign to you. It is not going to work either, because there is a safe guard preventing people from abusing and misusing it for mundane and profane purposes. It is the same safe guard that made the Great I AM tell Moses to inform the Children of Israel not to gaze upon Him at Mt Sinai because they would perish. What is this safe guard? It is culture. 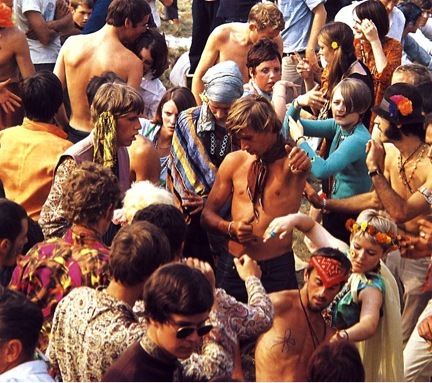 Culture and spirituality are uniquely tied or joined at the hip and if you don't have one. It is hard to get the other. In fact, culture is what spirituality different from religion. What's the difference you ask between spirituality and religion? Real quick, religion is based solely upon beliefs whereas spirituality is based upon experience. A person can change their beliefs like changing their clothes but you can't change or deny your experience. This is why spirituality in most non-Western cultures is closely tied to initiations, where you either received the initiation or not.Religion is something you practice. Spirituality is what you are. Have you ever asked a person who they are and answer they are Christian, Muslim, Buddhist, etc.? This is a religious individual, because their beliefs are dictating who they are and will be. A true spiritual minded individual tells you his or her name based with conviction based upon their experience. 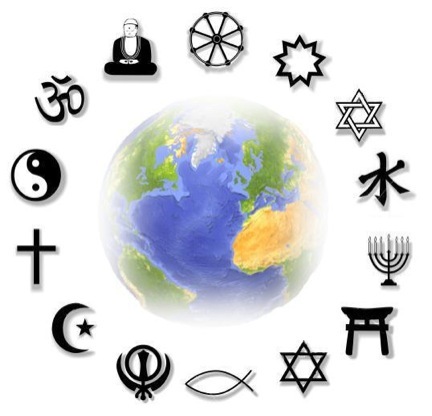 It is this lack of holistic thinking that makes people jump around and try other faiths. I know because I did it as well. Fortunately, my padrino (godfather) and I met and helped me to see life from a different perspective. Of course, it didn't come quickly. I had to go through a bit of ordeal as you all know, but this ordeal was my trial by fire or leading to my burning bush initiation. It was because of my initiation I began to see the Kamitic tradition differently. Like many, I had read and read the Kamitic legends numerous times and just chalked them up as fanciful stories, which is evidence of my Western education (indoctrination), non-holistic thinking and lack of maturity. When I was undergoing my informal initiation that's when the truth of the Story of Ra and Oset appeared to me. "I have made the heavens and the earth, I have ordered the mountains, I have created all that is above them, I have made the water, I have made to come into being the great and wide sea, I have made the 'Bull of his mother,' from whom spring the delights of love. I have made the heavens, I have stretched out the two horizons like a curtain, and I have placed the soul of the gods within them. I am he who, if he openeth his eyes, doth make the light, and, if he closeth them, darkness cometh into being. At his command the Nile riseth, and the gods know not his name. I have made the hours, I have created the days, I bring forward the festivals of the year, I create the Nile-flood. I make the fire of life, and I provide food in the houses. I am KhepeRA in the morning, I am RA at noon, and I am Tmu at evening." After hearing all that Ra had said, Oset told him, "The poison continues to run through your body because you have not reveal your true name, my Lord." Finally having no other choice Ra conceded and he led Oset into another room so that no one else could hear them. 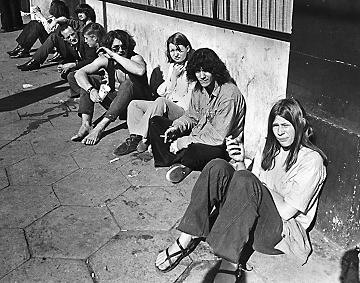 When they were alone. 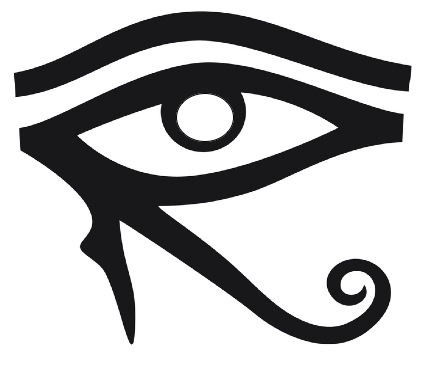 Ra caused his name to pass from within him and into Oset, which she used to drive the poison out of Ra's body. The story ends with the impression that the name was not revealed, but the story was a riddle because the name was revealed to Oset in secret. To understand the story, the word for secret and hidden is "Amun or Amen," which also means to conceal (this is the reason the word was borrowed and used to follow the end of Jewish, Christian and Islamic prayers). 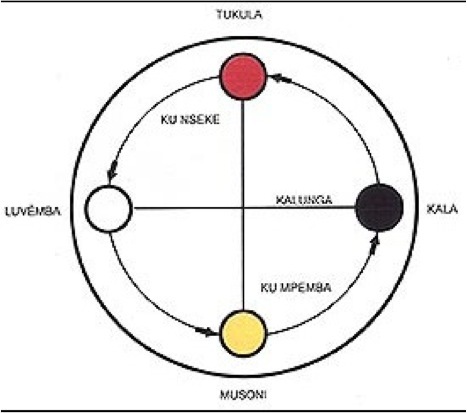 This is how I discovered the maa aankh, a Kamitic - Kongo inspired cosmogram based upon my ancestors' cultural perspective, which reveals my divinity and uniqueness. Instead of making me feel inferior or culturally subservient to others. That's right, it was Maat that showed me the entire picture or Maa. 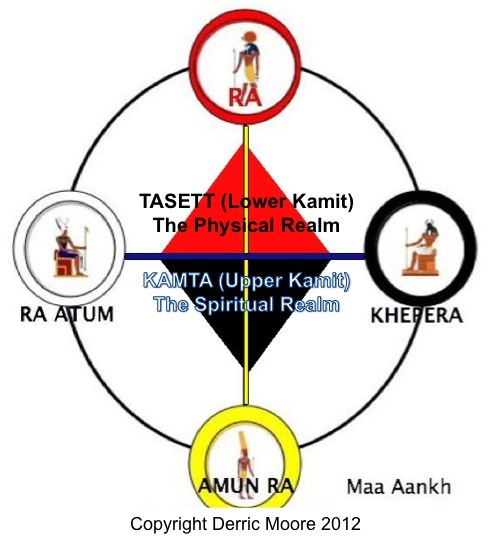 It was Maat that showed me the Maa (the Way), which I hope you can see means more than just balance, reciprocity, law, justice, order, karma, etc. I hope you can see the difference from knowing and believing in God. When you believe. You only see part of the picture - usually the one based upon your physical senses, hence the intellectual side everything (based upon your limited understanding). You see the differences between yourself and others, which is why it is hard for people to come together peacefully.Not only that, when you just believe you tend to argue with others on who is right or wrong, which is a typical Npu (Anubis/Sebek) and Eshu (Ellegua) trick, all due to perspective. Spiritual people on the other hand don't just believe in God but know God, which allows them to see life holistically. They live their life based upon what is ideally correctly. A truly spiritual minded individual can or tries to harmonize (be at peace) with anyone regardless if they agree with their beliefs or not, because they understand everyone has a journey. They can come together peacefully with others because they focus on the individual's spirit. This does not mean they condone negative, self-destructive and perverted behavior, no more than Moses did. It just means that see the sacredness of all things and do not need any commandments, laws and rules to tell them what they should and should not do. Because they see the dangers beforehand. It is part of the holistic or Maa perspective. I say all this to inform you that if you find yourself flip flopping from faith to faith, not knowing which way to turn or what is right from wrong. If you feel that you have lost your way or that you haven't found your way. It could be because you are looking at life from one perspective and not seeing the whole picture. It might be time for you put down the books and ask Maat to show you the other side of life. So that you can develop your intuition and learn to see life holistically.